On Friday, July 6th, protests erupted in Port-au-Prince, Haiti, in response to the government’s sharp increase in fuel prices. Rioters burned tires and cars, vandalized homes and businesses, erected roadblocks to disrupt transportation, and clashed with police for several days after the government announced, and subsequently rescinded, the IMF-sanctioned price hikes on gas, kerosene, and diesel. The violent protests caused major disruptions to the transportation infrastructure of Haiti and left many locals, tourists, and American volunteer groups sheltering in place. According to newspaper and television reports, church groups from Alabama, Florida, Georgia, and South Carolina remained stranded in the country for days after their scheduled departure. American Airlines, JetBlue, and Spirit Airlines all canceled flights to the Caribbean island nation over the weekend and the State Department raised the Travel Advisory to Level 4 — Do Not Travel. The violent episode in Haiti underlines the point that volunteer groups from the United States are not exempt from the political risk and its fallout while traveling abroad. Even if all flights had been running on time, simply getting to the airport was not safe, as protesters blocked major roads with burning tires and other makeshift barricades. While such volunteer groups remained safe as they sheltered in place, the episode is a reminder that no party, regardless of their purpose of travel, is exempt from the potential dangers of a trip to politically unstable nations. Volunteer groups associated with church missions, medical practices, and other civil purposes owe duty of care responsibilities to the members they travel with. The Haitian fuel riots demonstrate the importance of maintaining best risk management practices. As a travel manager of an organization that coordinates volunteer trips abroad, or as a group leader that manages the day-to-day activities while overseas, the thought of something going wrong is one that could keep you up at night. 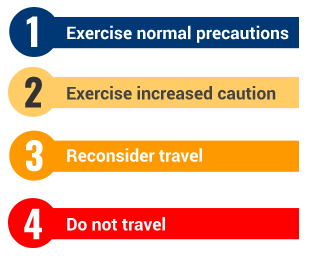 The safety of all members of your trip is always priority number one. Travel managers and group leaders are risk managers — situationally aware, averse to potentially risky situations or environments, and ultimately responsible if something does go wrong. The GuardianAngel Platform is a travel manager’s best friend for fulfilling duty of care. By subscribing to GuardianAngel, your organization will travel with Peace of Mind on every trip abroad. Before you depart, every group member on your trip will download the GuardianAngel App to their smartphone. The group leader will receive a Managers View of the GuardianAngel App, providing access to the whereabouts of every member of your group. Gone are the days of panic when a member does not show up for roll call after some free time wandering a foreign city. By accessing the Managers View, the group leader will see that the stray member has lingered too long at the souvenir shop down the street. 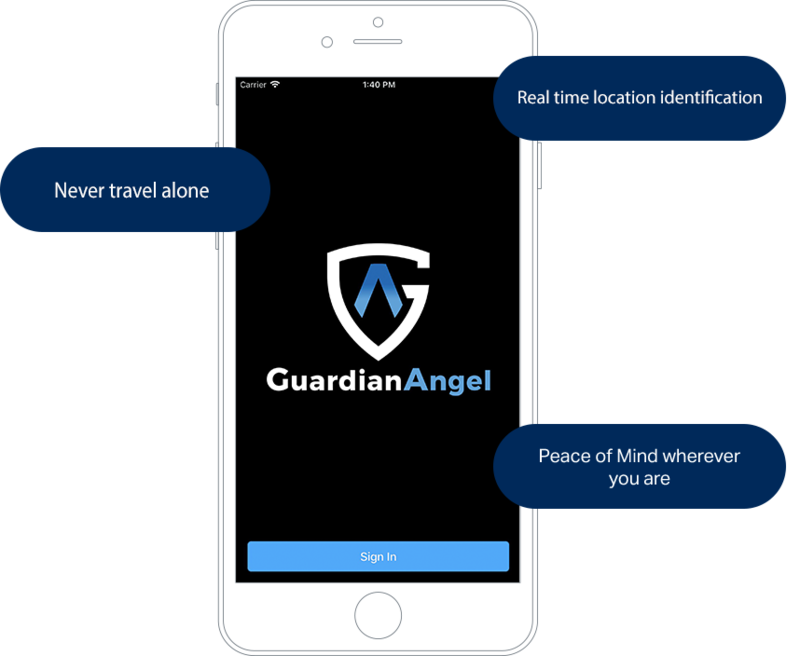 Traveling with the GuardianAngel Mobile App also connects you with our Global Security Operations Center. With veteran security operators on-call 24 hours a day, 7 days a week, a trip with GuardianAngel provides you a direct line of communications to our professional risk mitigation experts and security operators. Our persistent monitoring technology discreetly captures your group’s location to deliver catered emergency mass notifications or other alerts if our analysts escalate a threat in your area. 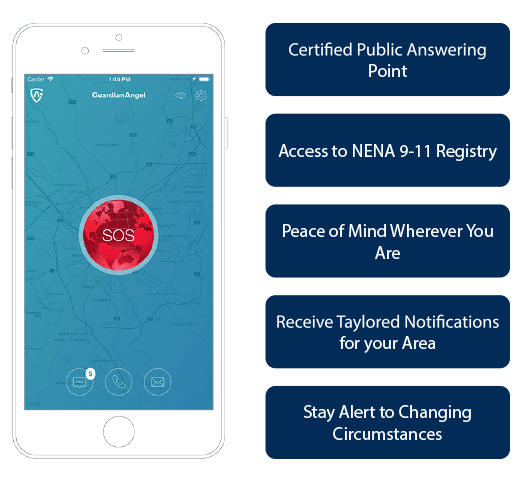 Connect directly to our GSOC to communicate your on-the-ground view of events and coordinate a response plan if an emergency arises. 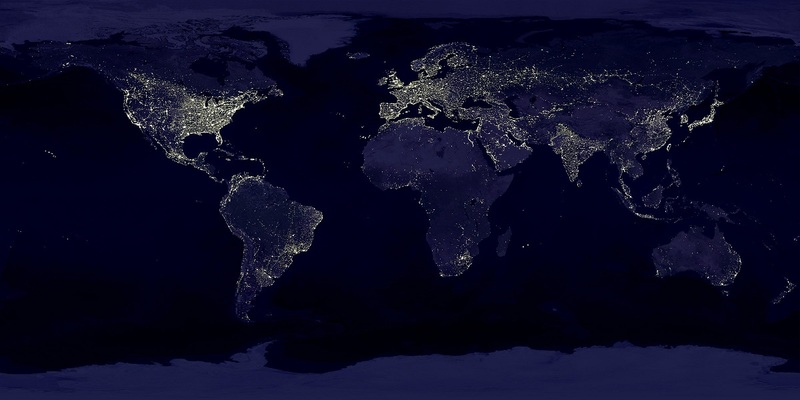 We serve as an unblinking eye: continuously monitoring known and emerging sources of information, analyzing global and local landscapes, and forecasting future conditions to identify, assess, and resolve risk for travelers around the globe. GuardianAngel can also assist group travel before you depart by properly conducting research about the safety and security risks of your destination that will ultimately help you enjoy your trip by helping you maintain a heightened awareness of crime trends. Our Pre-Travel Threat Assessments for your destination are designed to ensure that you are prepared for the specific risks for the region, country, and locality of your travel. If you’re an organization responsible for the safety and well-being of a large group while abroad, there is no better risk management solution for your duty of care responsibilities than GuardianAngel.